Sprinkles will open up its first cupcake bakery and ATM in Orlando this weekend, May 15th, at Disney Springs. 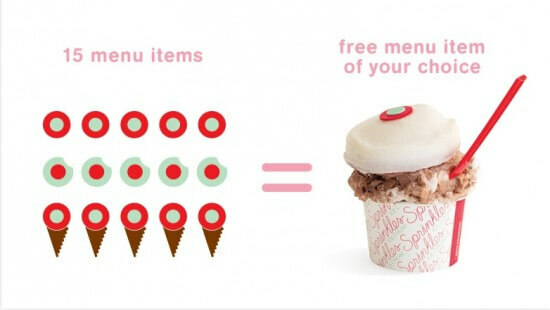 The bakery is famous for its tasty and flavorful cupcakes and luckily there is a way you can get to try them for free! Disney and free is almost unheard of so this is definitely something you should take notice of! *Buy 15 menu items, get 1 for free! *Double points on purchase of your choice. *The more you visit, the more points earn to level up a program level and get even more perks like front of the line access. Sprinkles will open on May 15th in the Town Center section of Disney Springs in Walt Disney World.